08. 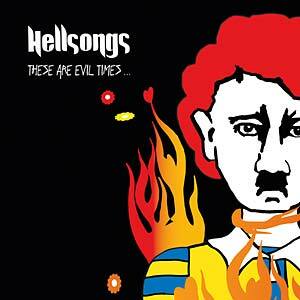 HELLSONGS - Oh, Rosseau! LP version. Comes with a CD copy of the album. 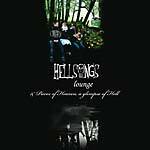 In 2011, a most sudden strike of serious illness suddenly ended a very nice era for Swedish lounge metal band Hellsongs. During the first half of 2011, the only moment of joy was the last waltz, celebrated with the Gothenburg Symphonic Orchestra. This, Hellsongs' final performance with their former singer, was recorded and later released as Long Live Lounge (TR 225CD) in 2012. Luckily, Hellsongs had signed up with an extremely nice and supportive label in 2009, Tapete Records. The staff in Hamburg kept cheering and soothing, insisting that there must be thousands of singers in Gothenburg with a fever for the road. 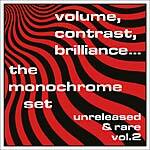 In May 2011, Kalle started working with an outtake from the Minor Misdemeanors (2010) album. His feeling was that there was something good in it, it just needed a new treatment. The idea was to release "Stand Up & Shout" for free, as a tribute to Ronnie James Dio (R.I.P.) on the anniversary of his passing. While working with it, he started thinking about the vocal duties and then came to think of My Engström Renman. 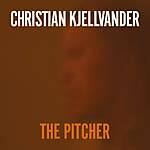 They had both been acquainted since the days when Kalle worked at the kindergarden where both of My's kids attended. My was very happy to record some vocals for the track and they had a great time in the studio. During that summer, when more and more requests for live shows came, the idea of doing these with My presented itself. One show was played at the legendary Sommarmelad Fiesta in Gothenburg (with David Bäck on keys and Finn Björnulfson, of Håkan Hellström fame, on percussion) and it felt like things were starting to fall into place once again. 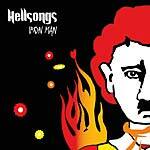 Hellsongs spent both spring and summer on the road to much acclaim. Clearly, it was time to begin work on a new album. When listening to These Are Evil Times, you will hear Hellsongs sounding like the band always have, but you will also hear Hellsongs sounding like never before. 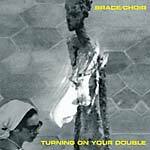 When recording these songs they wanted to do so with a queer attitude, musically speaking -- not bothering about the correct way to dress them, or how they would fit into the old Hellsongs discourse. In the past they have consciously limited themselves, with great result, but this time they wanted to do something different. Beware, because here comes the full drum kit, here comes a song in German and here comes a song about long-gone and dead anarchists in Chicago. Thrown away is the old testament of lounge, please welcome the new gospel.